Is Constant Corporate Monitoring Killing Morale? All of these efficiency programs may be making workers feel detached and undervalued. Today’s businesses can monitor their employees in many ways, using high-definition cameras, time tracking software and even “smart” equipment that can keep tabs on employees throughout the day. We’re well into the age of data, where information is bountiful and companies are eager to achieve the highest return on investment (ROI) possible — which sometimes means making changes in staff and management based on the information you draw from employee monitoring. Hypothetically, these advancements in monitoring can improve productivity — for example, time tracking can identify areas where you’re wasting time, and find alternative solutions to handle those specific tasks. They can also improve safety — for example, GPS tracking can help you understand where your workers are and how they’re operating, and notify a supervisor in the event of an emergency. But could employee monitoring also affect employee morale? Many employee tracking tools attempt to reduce human employees to mere numbers; instead of seeing individual personalities, and how they shape the workplace, employers can now see their workers in terms of their objective contributions. Being reduced to numbers isn’t pleasant for anybody, as human beings are worth far more than their baseline productivity. Discounting those subjective contributions will make your employees feel undervalued, and may lead to reduced performance. Once employees realize they’re being watched, and understand that achieving lower-than-average numbers could put them on the chopping block for termination, stress begins to skyrocket. 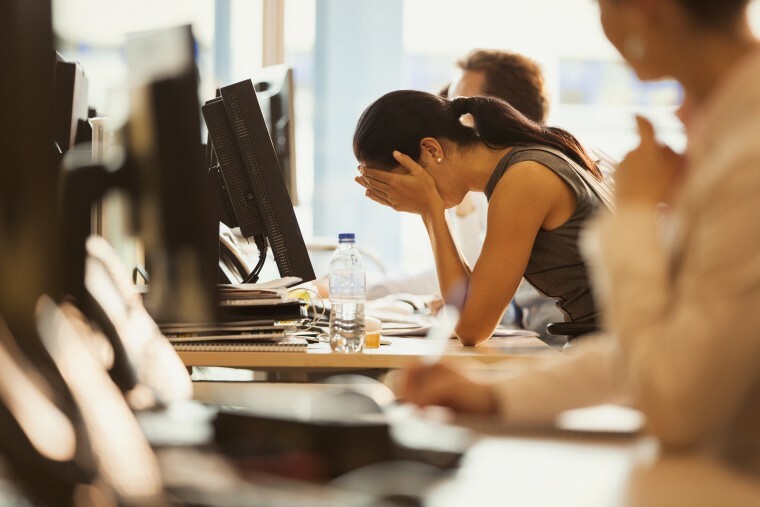 The fear of being fired is uncomfortably common, and can prevent workers from doing their best on the job; on top of that, they’ll likely start looking for employment elsewhere, which could sharply increase turnover across your organization. Employees who focus too much on performance numbers will neglect more subjective elements of their job, such as personal attitude and team-based contributions, and your company will suffer the consequences. Time tracking and process optimization also has the unpleasant side effect of forcing your employees to work in similar styles; chances are, there’s one mode of operation that will reduce time expenditure or improve safety more than the others, but that mode of operation may not work best for everybody. As a simplified example, you may find that your workers are collectively more productive during early morning hours. However, changing your shifts to start earlier in the morning might be bad for people who are natural night owls. There’s no one right way to work, and if you try to homogenize your entire workforce by funneling them into one mode of performance, you’ll likely alienate the majority of your employees. Once employees realize they’re being watched, and understand that achieving lower-than-average numbers could put them on the chopping block for termination, stress begins to skyrocket. Collectively, these effects could reduce morale, making workers feel detached and undervalued. It’s no secret that low morale leads to lower productivity, which you’ll ironically be able to see in your employee monitoring software. The degree to which your employees experience this drop in morale depends on several factors, including how you’ve implemented the tracking software, the daily impact of that software, the personal tolerance of your employees and the other conditions of their work environment. If morale gets bad enough, you could experience higher turnover, which is even costlier than you might think; losing a single $60,000 salaried employee can cost you more than $30,000 in training and onboarding costs. So does that mean employee tracking isn’t worth it? Do a gradual rollout. Don’t institute new tracking policies and requirements overnight. Instead, work on gradually rolling out those systems and policies. Use tracking as a tool, not a sole source of information. Don’t use employee monitoring as a sole factor in your decisions, or as your sole means of evaluation. Instead, use it as one of several tools in the course of your evaluation. Allow flexibility. Listen to your employees when they give feedback on these systems, and allow for some degree of flexibility; employees that perceive some degree of control and autonomy report higher levels of happiness in the workplace. With these strategies in place, you shouldn’t face any serious morale-based repercussions when implementing employee tracking. And if you’re an employee that’s currently being tracked, push for more subjective evaluations and flexibility in your own workplace — for your sake and the sake of others.